No card…just my first peony of 2015. We have two of these gorgeous peony bushes in the front of our house and they are covered with buds…I expect we’ll have over a hundred blooms between the two bushes. And we also have three different varieties in the back. I absolutely adore peonies and this variety is my fave! Just wanted to share some of nature’s beauty with you today. 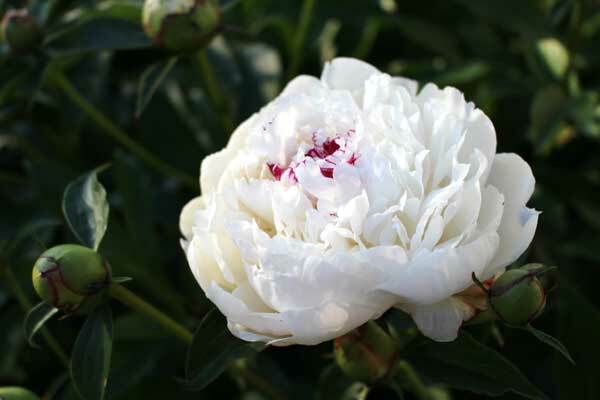 Absolutely gorgeous peony, Lee-Anne, I adore them, they are so wonderful. My neighbor has 2 bushes next to our mailbox, but not as beautiful as this! The ants sure do like them.